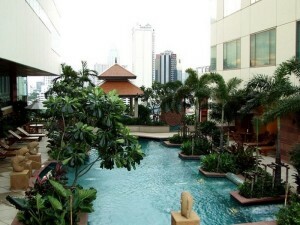 Jasmine City Hotel is a four and a half star hotel located on the corner of Sukhumvit Road and Sukhumvit Soi 23. 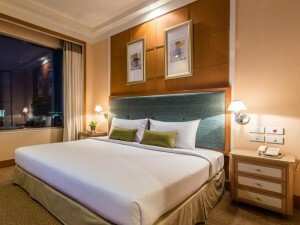 One of the most conveniently located hotels around Asoke, Jasmine City Hotel is less than five minutes walk from Asoke BTS station and Terminal 21 and less than two minutes away from Soi Cowboy. The hotel has clean, spacious rooms and suites, a relaxing and luxurious swimming pool, and a well equipped gym with weights and cardio machines. Extremely well located and comfortable.